Have you ever wondered what international consumers find so intriguing about U.S. shopping sites? There is a mix of factors—including the large variety of products, high quality, low risk of knock-off goods, and lack of availability in other countries—that encourages people to buy from overseas retailers. But whatever the attraction is for an individual, we know that U.S. brands are beloved by those abroad. As a U.S. merchant, there is a HUGE opportunity to grow your business globally by simply making the customer experience a positive one for international shoppers—from their arrival at your site to the moment the package arrives in their hands. But how can you make the intricate process of international shipping simple? 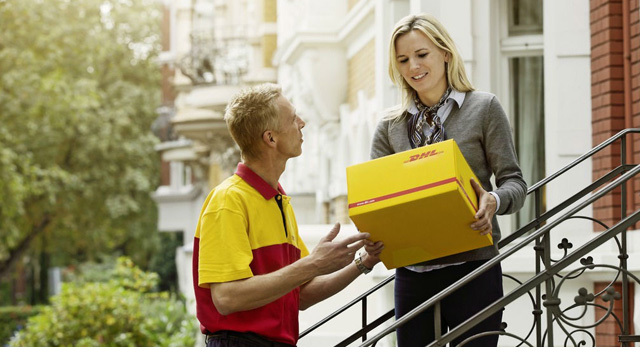 Unexpected fees upon delivery are one of the biggest pet peeves for international shoppers. When a package is shipped DDU (delivered duties unpaid) and exceeds the threshold where taxes and/or duties begin to apply, the customer will likely get a postcard in the mailbox letting them know there are fees due before they can receive the shipment. Often, the package is miles away from the customer’s home at the local post office or customs office. To make matters worse, this giant inconvenience is doubled in countries that charge an additional fee for Duties & Tax (D&T) collection. For example, the extra fee is about $10 in Canada and about $12 in the U.K. Now, the consumer suddenly finds himself in the middle of a very bitter experience. We always recommend shipping DDP (delivered duties paid) to countries where it’s available. Adding a fully landed cost calculator to your checkout process allows international shoppers to find out what they must pay up front so they can make an informed decision. You may be asking yourself, “Will this increase my abandoned shopping cart rate if consumers can see the ‘actual’ cost vs. the product cost without D&T?” Perhaps, but it’s better to have the consumer back out now before your products are in the destination country. The international shopper actually has the right to simply refuse the shipment when they learn there are additional funds due. When this happens, the cost and inconvenience of returns and wasted products can be quite high for your business. A fully landed cost calculator on your shopping cart page is a key tool for simplifying your international shipping process. To improve your customer’s experience even more, you can add services such as translation into the destination language, conversion to local currency and acceptance of local payment methods. To learn more about DHL eCommerce’s fully landed cost solution, please click here.